Hardcover, 9.5 x 12 in. / 108 pgs / 130 color. 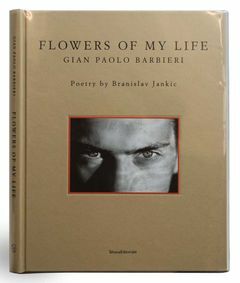 This volume recounts renowned Italian fashion photographer Gian Paolo Barbieri's (born 1938) love affair with Evar, a young architect and model who was killed in a motorcycle accident. Barbieri's portraits of Evar are accompanied by poems by Branislav Jankic. Text by Maurizio Rebuzzini, Nikolaos Velissiotis. FORMAT: Hbk, 9.5 x 12 in. / 108 pgs / 130 color.